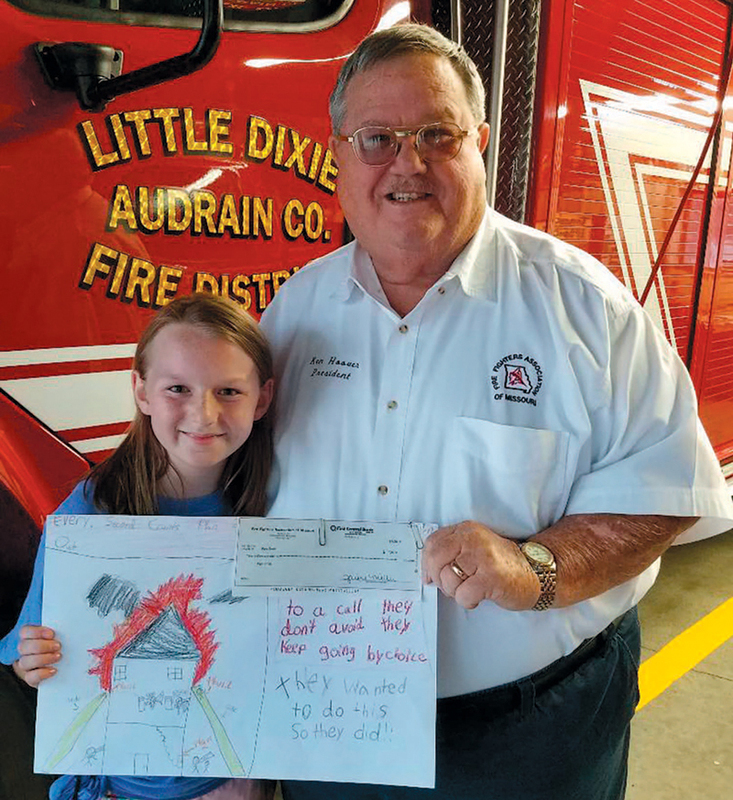 News From District 7 – 09-2018 | F.F.A.M. 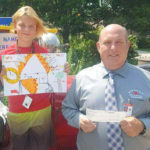 President Kenneth Hoover presenting Kiya Smith, from Ms. McManus’ 4th Grade at Hawthorne Elementary School in Mexico, Missouri, with a check and her winning poster. Kiya Smith’s parents are Korey and Amanda Smith and April Smith. Kiya’s father is a firefighter with the Little Dixie Fire Protection District. Hello and greetings from District 7 and the east side of the state. I hope everyone had a great safe summer with family and friends. Where has the time gone? Can you believe that summer is almost over? School has started, and the Missouri State Fair is in the history book. I have to say to the ones that didn’t attend the fair this year, you all missed a great time! 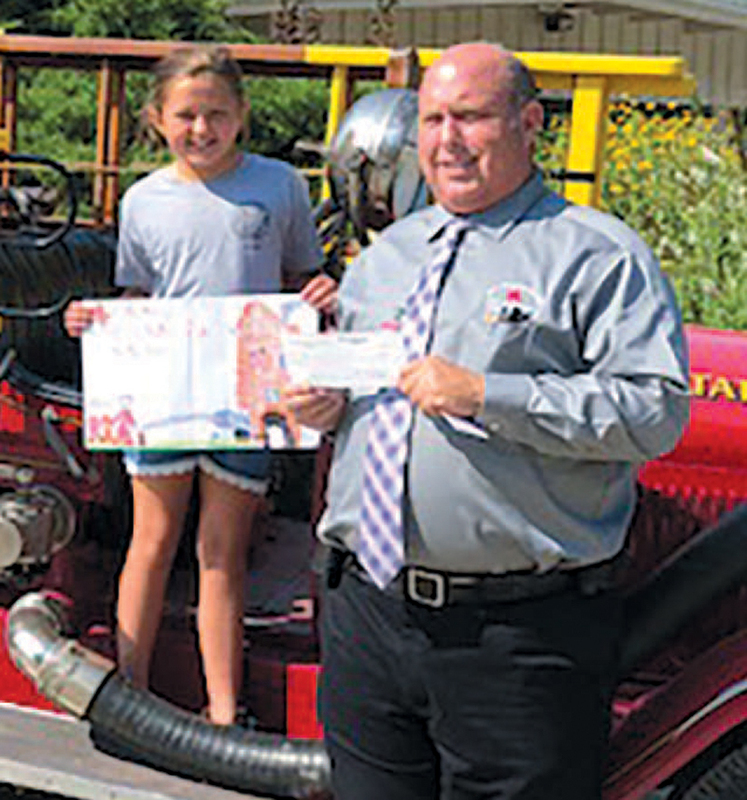 The first Saturday was a busy time for the Missouri State Fair Fire Department, with the crowd and the heat, the crews kept busy. This year we had many new faces to help man the station and I want to say thank you for a great job. I can’t wait to see you all next year. Thank you to the seasoned members that showed the new faces around the station and made them feel at home and part of the team and family. I hope when the rookies got home they told of all that happens at the state fair and they return next year and bring a few more colleagues with them. A great job by all because it takes everyone to make it happen and without the member departments and districts that allow us to use their equipment, we could not have the only eleven day fire department in the nation. So thank you to all that donated. This was Chief Rogers last year as fire chief and a big thank you to Donnie for a job well done. Congratulations to the new Fire Chief Terry Plumb. While I’m sending congratulations, I need to congratulate all the award winners. In my eyes each one is a winner. 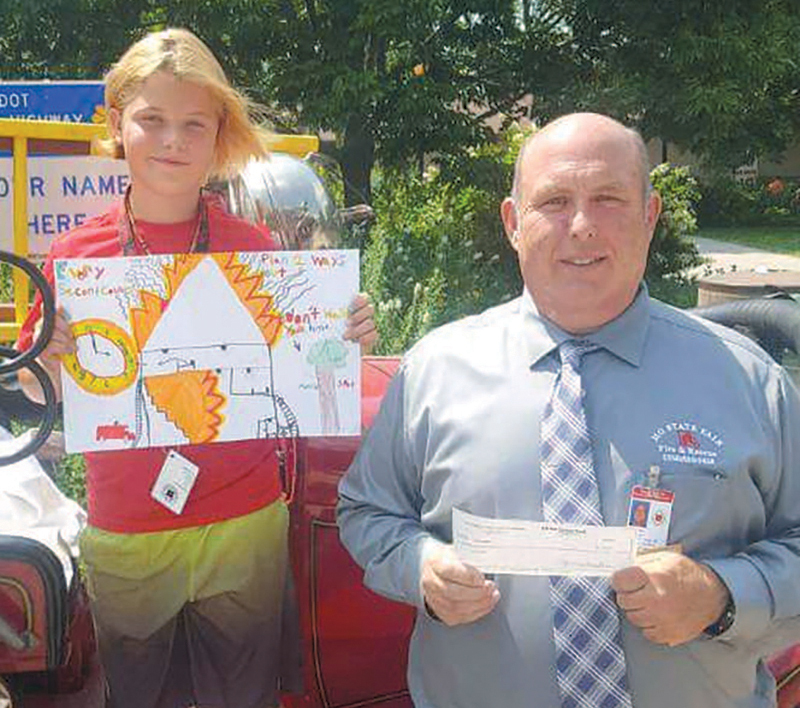 Speaking of winners, I want to thank the poster contest winners that attended the state fair to receive the prize money and tickets to the midway. I hope everyone had a great time at the fair. With summer coming to an end, the leaves begin to change, and the temperature starts to get cooler and that means fall is near and so is fire prevention time. Fire Prevention Week is October 7-13, and this year’s theme is LOOK. LISTEN. LEARN. Calling all artists from grades 1-6. Get your pencils and colors ready for the posters contest. As a reminder, please go to the FFAM website to print off a copy of the rules and poster label. I am sending out a challenge to all directors and assistant directors to get as many winning posters from your district and have them entered for the judging at the 2019 FFAM Convention in Sedalia, April 12-14, 2019. Have a great safe fall! 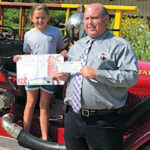 Third place winner in the 1st/2nd Grade Division is Raygen Crum sponsored by the Paris Fire Department. 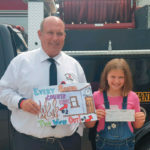 Annie Barton is the first place winner in the 3rd/4th Grade Division sponsored by the Madison West Monroe Fire Protection District. 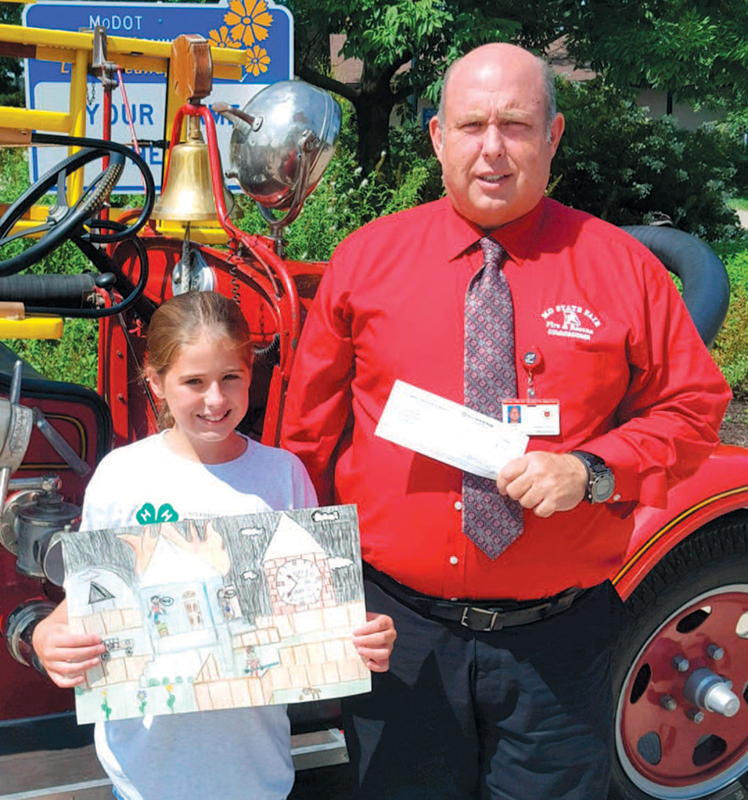 First place winner in the 5th/6th Grade Division is Abigail Wheeler sponsored by the Paris Fire Department. 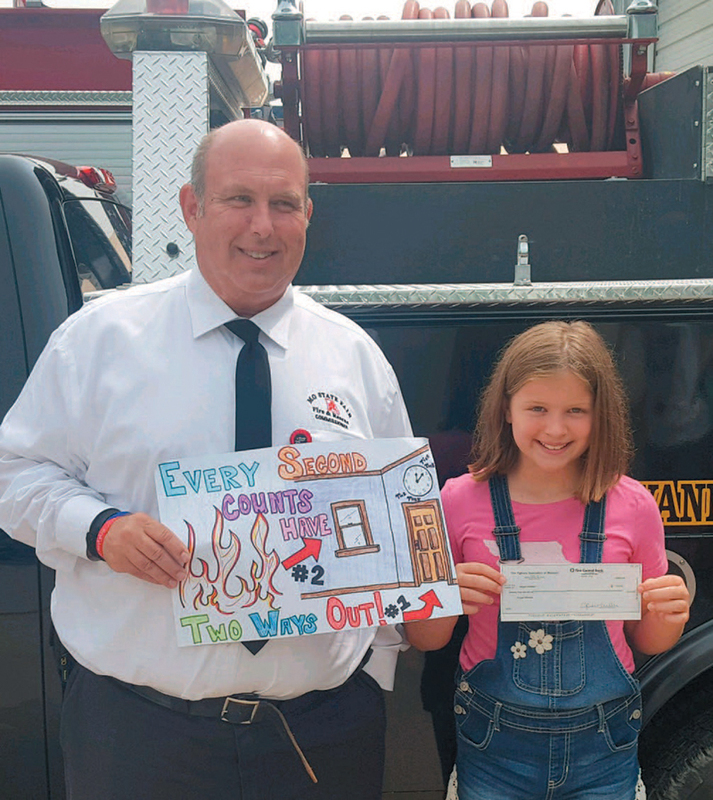 Third place winner in the 5th/6th Grade Division is Karlie McGee, sponsored by the Madison West Monroe Fire Protection District.